SPECIALIZING IN BRANDING, CREATIVE, AND PRODUCTION IN PROJECTS CONNECTING WOMEN: LEADERS, MENTORS, COLLABORATORS, AND RISING STARS. CO-FOUNDER OF THE BE RARE FOUNDATION), WHICH AWARDS GRANTS TO THE NEXT GENERATION OF FEMALE ENTREPRENEURS / CREATIVES. FOUNDATION DEDICATED TO FUNDING WOMEN’S PROJECTS AND BUSINESSES. FUNDRAISING THROUGH EVENTS AND COLLABORATIONS. GRANT APPLICATIONS OPEN EVERY YEAR. Vannga is the co-founder of The Be Rare Foundation (TBRF), whose mission is to provide grants to aspiring female bosses pursuing mission-oriented projects across all industries. In 2018, the foundation awarded $10,000 in grant funding to female entrepreneurs. TBRF is a 501(c)3 organization, which accepts grant applications every summer. The inaugural Women’s Choice Award Conversations event, hosted on November 28, 2018 at Fig & Olive in West Hollywood, was attended by 200+ female founders, experts, creatives, and emerging talent from all fields, including fashion, entertainment, tech, media, and art. Our panel of women leaders shared experience and insight on creating new spaces and opportunities for women in their industry. We also honored an emerging star and youth leader. Guests enjoyed cocktails and bites, gifts, and a silent charity auction to benefit The Be Rare Foundation, dedicated to funding the next generation of female entrepreneurs. 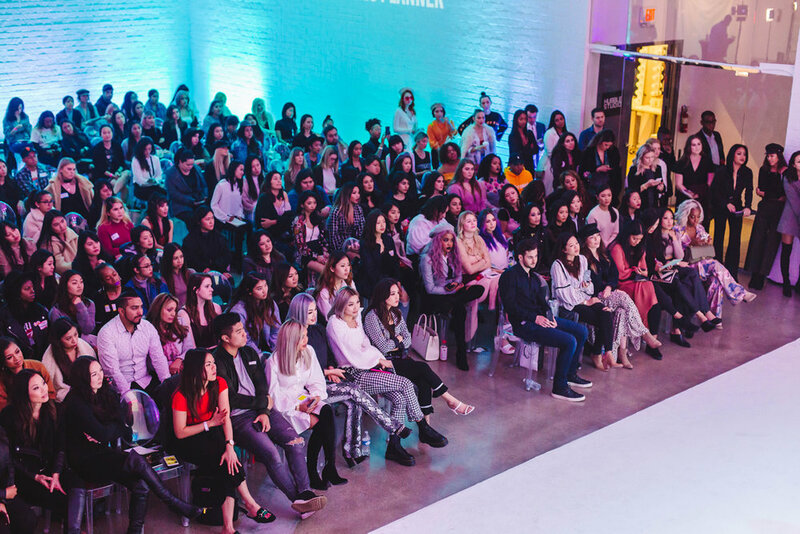 A Rare Day, an annual women's day summit and networking event, debuted this year to a sold-out venue (Hubble Studio) of nearly 300 attendees, who came to celebrate and discuss the future of females in digital media, fashion, beauty and beyond. All proceeds benefited The Be Rare Foundation—$10,000 in grant funds to be awarded to the next generation of female bosses and creatives. Speakers and panelists included: Youtube superstars and content creators, fashion and beauty industry leaders, entrepreneurs and professionals in talent management, executives in high-profile event planning and major beauty brands. The program included inspirational stories, insider career tips, and an exclusive shop party. The event also featured a live DJ, complimentary food and beverages, a 360 photobooth and photo moments amplified by elegant lighting and event design. © 2019 VANNGA NGUYEN. ALL RIGHTS RESERVED.